Thomas F. Severance, 77, of 88 Gilbert St., died Sunday, May 15, 2011. He is predeceased by his wife of 52 years, Margaret M. (Moore) Severance. He leaves a daughter, Martha E. Severance & her husband Dr. Charles J. LaTendresse of Grundy Center, Iowa and two sons: Thomas P. & his wife Janet of Marion, MA and Richard J. & his wife Joann of North Brookfield; a sister, Florine (Severance) Martel of North Brookfield; six grandchildren: Thomas LaTendresse of Grundy Center, Iowa and Kimberly Severance and her husband Jeremiah Stoner of Pella, Iowa; Brittany and Holly Severance of Marion, MA; and Ryan and Kathryn Severance of North Brookfield and one great granddaughter, Leeann M. Stoner of Pella, Iowa. Thomas was born in Worcester, the son of Thomas J. and Florine E. (Wine) Severance and has been a lifelong resident of North Brookfield. He was a math teacher for over 30 years at Assumption Prep and Southbridge High School, until his retirement in 1992. He was treasurer and moderator of the Worcester County Mathematics League. He was a member and Eucharistic minister of St. Joseph's Church North Brookfield, a member of the Knights of Columbus in North Brookfield and a member of the New Braintree Grange #170, the Bay Path Grange #9, the Massachusetts State Grange and the National Grange. 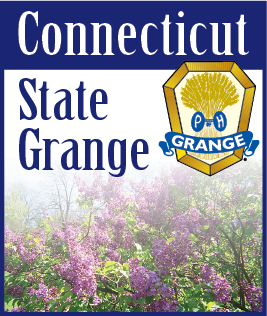 He was a former Master of the Massachusetts State Grange and was High Priest of Demeter of the National Grange. He was a member of the Grange for over 50 years. He served on the Zoning Board of Appeals in North Brookfield for many years. Relatives and friends are invited to attend calling hours on Wednesday, May 18, 2011 from 4-8 in Pillsbury Funeral Home, 44 Gilbert St., North Brookfield. A funeral Mass for Thomas will be held on Thursday at 10:00 AM in St. Joseph's Church, 296 Main St., N.Brookfield. Burial will follow in the parish cemetery. A luncheon will be served in St. Joseph's Church hall after the burial. In lieu of flowers, donations may be made to the St. Joseph's Church Renovation Fund, 28 Mt. Pleasant St., North Brookfield 01535 or to MA State Grange Educational Aid Fund, c/o Janet Horne, 701 Prentice St., Holliston, MA 01746.